Wander through the Broadway Farmers Market (open Thursdays starting May 1), and amidst the bustling rows of organic farmers, craftspeople and flower growers, you may run into the man behind Rogue Friar. That would be Gary Waldron, a novitiate with the Ecumenical Order of Franciscans, and maker of beautiful hand-bound journals. Gary is a creative entrepreneur and a recent graduate of the Spaceworks Tacoma business training program. He and others who were selected to produce a 3-to-6 month project for the Creative Enterprise track of Spaceworks took the comprehensive pilot program aimed at helping participants turn the projects they designed into viable businesses. During the 18-hour training course that teaches the basics of setting up a business, Gary discovered that instead of pursuing traditional retail and wholesale channels, he could create a business plan tailor-made to meet his needs and preferences – one that would allow him to work on his own schedule, control production, and engage with customers face-to-face. He sells at popular farmers markets in Tacoma and Puyallup, and consigns at a downtown Tacoma store, Pip & Lola. He also has an Etsy store (click here). 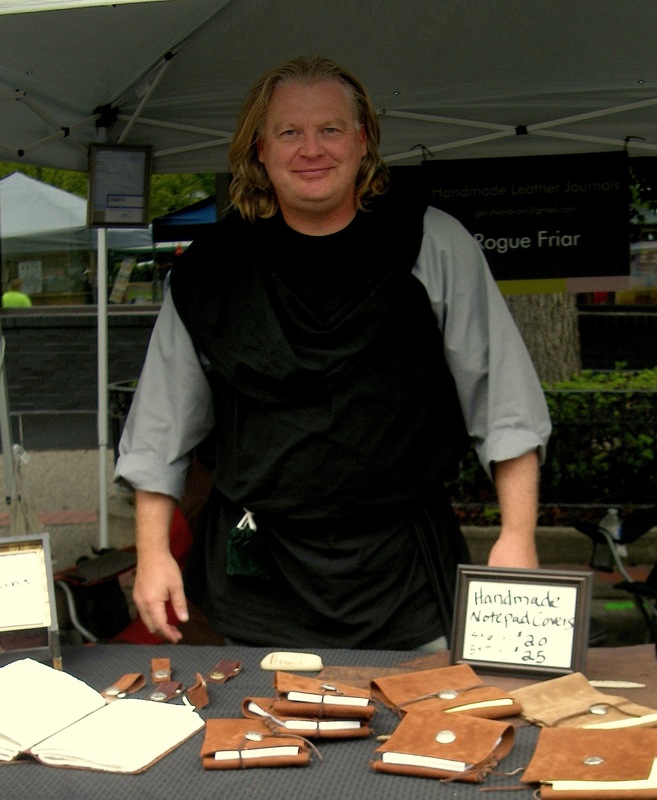 He says with Rogue Friar he has tapped into the current obsession with hand-made craft – and sometimes business is so brisk he has to finish stitching journals at his craft booth to keep up. It’s a welcome change for the former university professor. The new business owner credits the Spaceworks training program with getting his creative enterprise off the ground, and describes it as “topnotch”. Spaceworks Manager Heather Joy says that the program’s goal is for Creative Enterprise participants to get across-the-board training and mentoring – in areas including budget, branding, price point, insurance and overhead – before launching their project, in order to achieve as much success as possible. “Spaceworks doesn’t want to just hand people a key to a space and say ‘good luck’,” explains Joy. “We want to work with them during the entire journey. 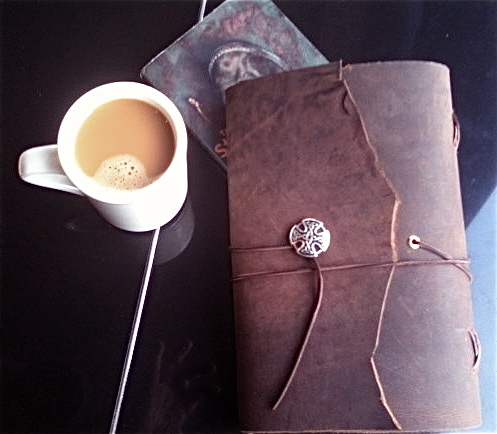 Gary, for example, applied to get a small retail space, but through the training he realized he didn’t want his own retail space; instead, he’d sell at markets and fairs, as well as place his journals at shops that could sell them, like Pip & Lola’s. A wise choice, I believe, for his business.” Upcoming Creative Enterprise participants will be eligible to take the course for $50 or a sliding-scale fee.